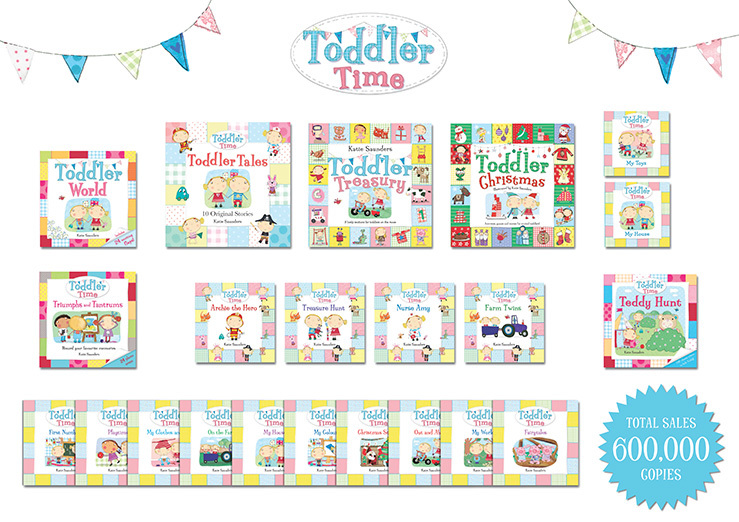 Toddler Time was conceived and first published by The Creative Studio and began as an exquisite interactive book entitled “Toddler Treasury”, which was quickly followed by “Toddler Christmas”. The books which are led by toddler twins Amy and Archie are beautifully illustrated by Katie Saunders and feature contemporary artwork that combines bold colours and mixed patterns ideally suited to today’s mums. 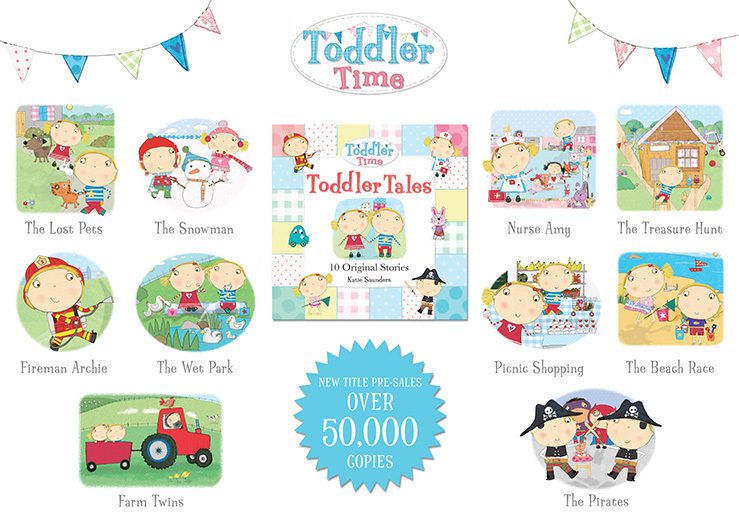 Toddler Time has quickly grown into a successful international publishing franchise with new formats being introduced every year. Our licensing and merchandising strategy is to work with key licensees and retailers to develop a focused range of merchandise that is in keeping with the books’ brand values and faithful to Katie’s delightful illustrations.